"Going to a psychiatrist has become one of the most dangerous things a person can do." 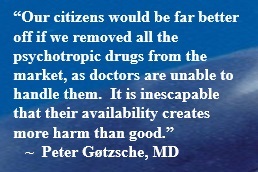 --Peter Breggin MD. [2015 Feb] Why Are So Many Toddlers Taking Psychiatric Drugs? An analysis of 2013 IMS Data, found that over 274,000 infants (0-1 year olds) and some 370,000 toddlers (1-3 years age) in the U.S. were on antianxiety (e.g. Xanax) and antidepressant (e.g. Prozac) drugs. 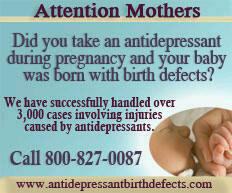 This report also found over 1,400 infants were on ADHD drugs. 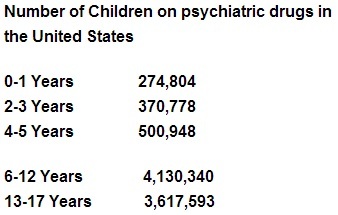 In Ohio in just one month (July 2004) physicians prescribed psychiatric drugs for 696 babies aged newborn to 3-years-old who were covered by Medicaid. 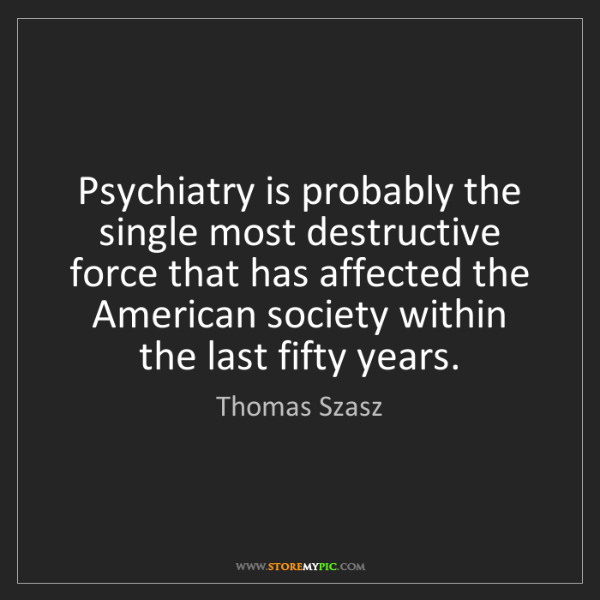 In Texas in just the months of July and August 2004, more than 63,000 teens were prescribed psychiatric drugs and billed to a public funded program. In just 2 months! In Florida, where 7-year-old Gabriel hung himself last year, the Florida Department of Children and Family Services found that in the year Sept. 2002 to Sept. 2003, nearly 42,000 children aged 12 years and younger were given almost 200,000 prescriptions for psychiatric drugs. The monster is winning. It is imperative that every parent and guardian of a child become aware of the aim of the pharmaceutical industry and the pervasive control that the monster has to achieve its aim. Until the public becomes aware and alert, children will remain easy prey to the monster. HOW THE PHARMACEUTICAL INDUSTRY IS PREYING ON OUR CHILDREN by K.L. Carlson, M.B.A. Refusal To Put Child On Psych Drugs Results In Swat Teams & a TANK. This is in America! http://www.ssristories.net/ This website is a collection of over 5000+ news stories with the full media article available, mainly criminal in nature, that have appeared in the media (newspapers, TV, scientific journals) or that were part of FDA testimony in either 1991, 2004 or 2006, in which antidepressants are mentioned or in some cases family, friends, law enforcement or coroners have verified the presence of an antidepressant in a perpetrator.